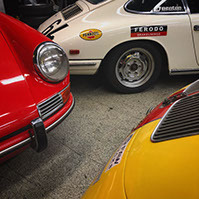 See the Porsche Sights the Easy Way—Take a Bus! 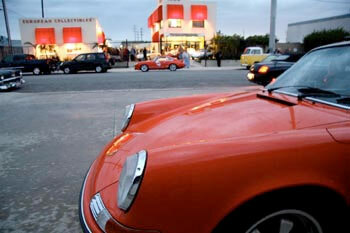 Porsche shops in the area. 30 minutes prior to departure in front of the Cafe in the hotel lobby. be sold on a first-come, first-served basis. 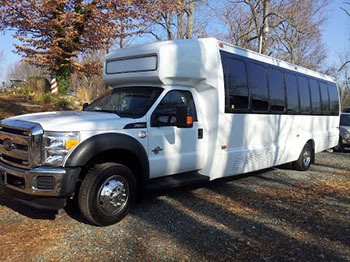 There will be a 10 person per bus minimum by February 14th, 2019 for each tour. 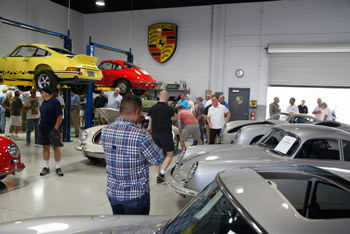 This tour takes you North towards a variety of restoration and Porsche parts suppliers. 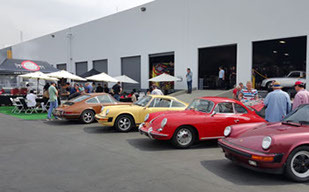 This selection of businesses is one of the typical routes that Porsche enthusiasts take on the Thursday prior to the Lit Meet. The Points South Tour wraps up with an amazing free lunch and tech session at Benton Performance. According to John Benton, "We have restoration projects from 1955 to 85. 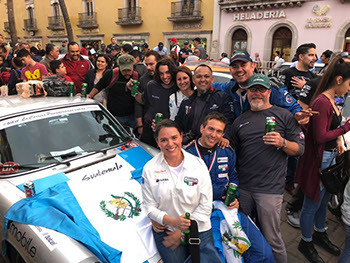 We are a full service shop—we just won La Carrera Panamericana in Mexico. 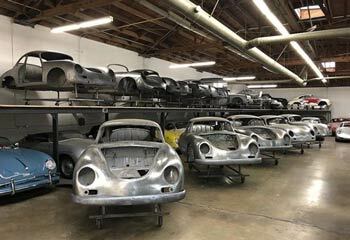 This car will be there along with the Champion 356 car. We will be raffling off a MOMO Prototipo Steering Wheel!" Like most enthusiasts, we try to pack a lot of sights into our vacations. The Friday prior to the Lit Meet is a bit hectic—there is so much to see! 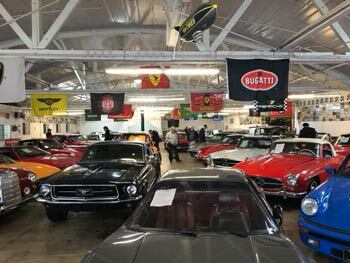 This Tour hits the high points in the Torrance and South Bay areas of the LA Basin—Including Willhoit’s Cookout and Callas Rennsport's Open House. After the Lit Meet, there’s typically a mad-rush down to Costa Mesa in Orange County. There are several great open houses to visit, but often there’s a shortage of parking. Our bus will make it easy to get down there and see all of the neat cars. You can book your spot on the busses by calling us at (440) 869-9890.